Digital Tools & Channels: Make the Most of your Digital Presence takes place in London on 19th October, and ResourceSpace is delighted to be one of the technology experts taking part. Having quick and logical access to marketing assets is important for any company, but for charities especially, it can make a huge difference to response times; you need to find and share the right media file at a moment's notice. Digital Asset Management (DAM) software is an easy, cost-effective way to centrally upload, store and distribute important files, so you can seamlessly launch campaigns, or enable quick responses to issues affecting your charity. When it comes to campaign assets, charities are under unique pressures. You're often trying to manage photos, videos and text files uploaded by multiple people, who are based in many different places. Embracing DAM software can help your organisation bring order to those assets, at the same time as enabling volunteers and staff to add new files - including when they are in the field. As a visitor to CharityComms' upcoming event, you are entitled to a free 10-minute 'advice surgery' with an industry expert, who can answer questions and provide advice on anything to do with Digital Asset Management. 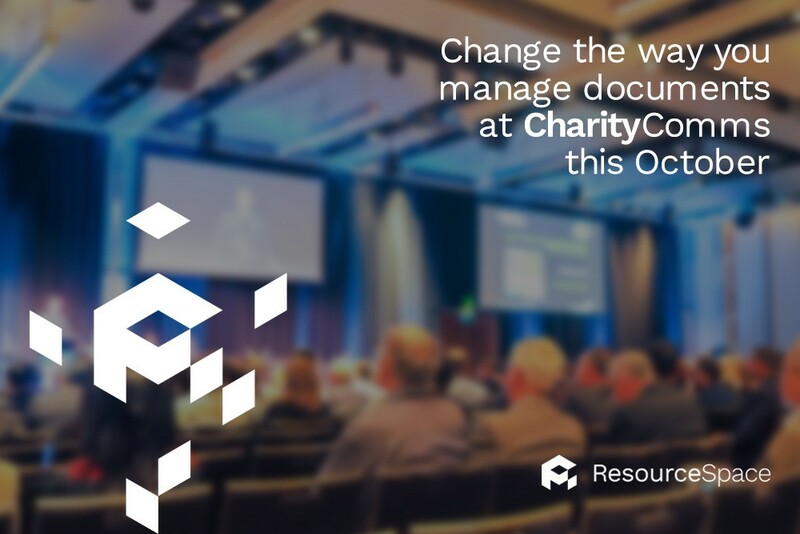 As an expert in DAM software for charities - Action Aid, Friends of the Earth and Oxfam are just some of the not-for-profit organisations we already work with - ResourceSpace is delighted to be taking part in this year's advice surgery. To secure your session, make sure you register for this event. Even if you don't get chance to book an advice surgery appointment, you can still drop by our stand for some top tips on improving your digital media management with a DAM software solution. Digital Tools & Channels: Make the Most of your Digital Presence takes place at 241 Borough High Street, London on 19th October. Book your place here.